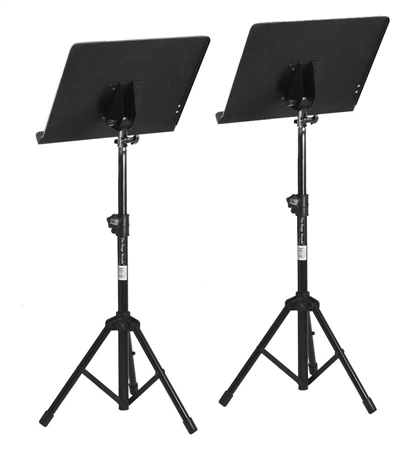 Shop On Stage Orchestra Style Music Stand from AMS and enjoy Fast & Free Shipping. 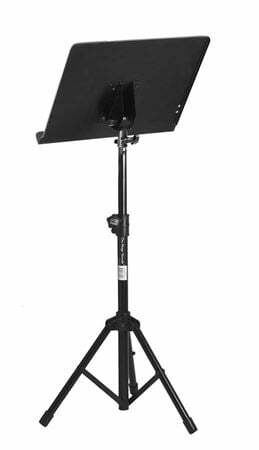 The On Stage music stand is revolutionary, incorporating all the features of the past with the new tripod folding base for the musician on the go. This stand can also fold up and nest together if you are staying in one place. 13.5" X 18-3/4". Bookplate, rolled edges for safety and strength. Hi-impact plastic leg housing, friction locking knobs, Leg support straps, non-slip rubber feet, variable spreading legs. Looks great and seems nice and sturdy. Well worth the money. Very heavy duty without weighing a bunch. Folds down into a very manageable size. Well built, can hold my heavy music books with tipping over!!! very strong that's what I was looking for thanks for This stand worth every dime spent to purchase it AMS personnel helped me make this choice. Better than I expected and holds all my music. No problems. I bought this stand as a gift for my son. His old stand was flimsy. So far so good. He puts some heavy books on it, and it still holds strong. I have 6 of these. 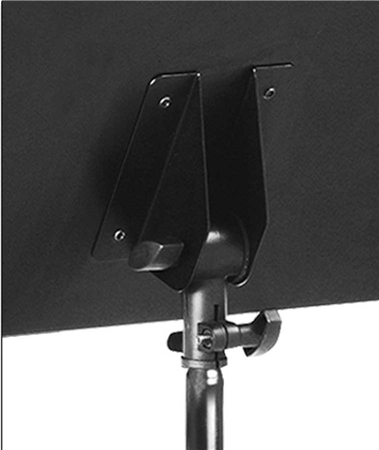 They work great for mounting small TVs to for portable karaoke.